Growers' Gallery (5): Melvyn and Dorothy Driver are among the allotment-holders gearing up for the new gardening season. Born in Silsden, Mel as a child lived at 6 Bradley Road, above Bradley's Butchers, then at 1 North Street (next to Driver's Mill), and subsequently at the beck-side 38 Bridge Street (approximately where the entrance to the Co-op car park is now) before moving in 1949 to Gloucester Avenue, a new municipal housing development. An electrician for 45 years, Mel and his two sisters, Elaine and Janet, and brother Laurence were not related to the mill family but their father Douglas's brother Lawrence owned Driver's ice-cream factory (Meddocream ices and Archie Andrews Lollie Club) in St John Street, and the Milk Bar in Kirkgate. 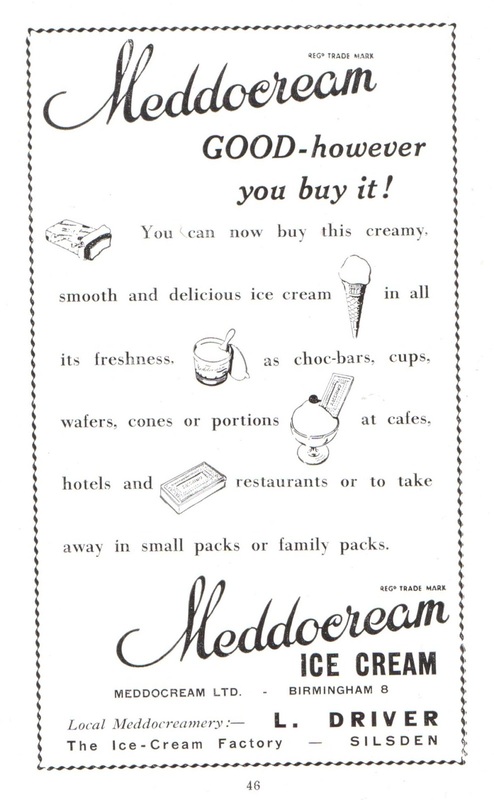 As noted in the previous caption, Driver's factory manufactured ice cream under the trade mark of Meddocream, which was promoted widely in distinctive advertisements, such as this one in the Official Guide to Silsden, issued by the Urban District Council in the early 1950s.